Sponsors — Just for J, Inc.
Join the efforts to change the lives of children facing medical challenges! Please join us in providing children, facing medical challenges, with necessary equipment and/ or opportunities that may other wise not be possible! You can do that by becoming a sponsor of one of the Just for J Race events. Last year our corporate sponsors, donors and more than 300 race participants generated over $40,000 in donations to Just for J, Inc, and that is only from our 5K events! Just for J, Inc. has raised over $90,000 to give back to children facing medical challenges since 2012. We are excited to be holding our 7th annual North Texas and our 3rd annual Denver 5Ks in 2019! One hundred percent of the proceeds from these events will be used to support the mission of Just for J, Inc. We are continuously working to grow and improve these events. Traffic to our website, www.justforj.com, continues to thrive, increasing the exposure of our corporate sponsors to the community. Please consider partnering with us this year! 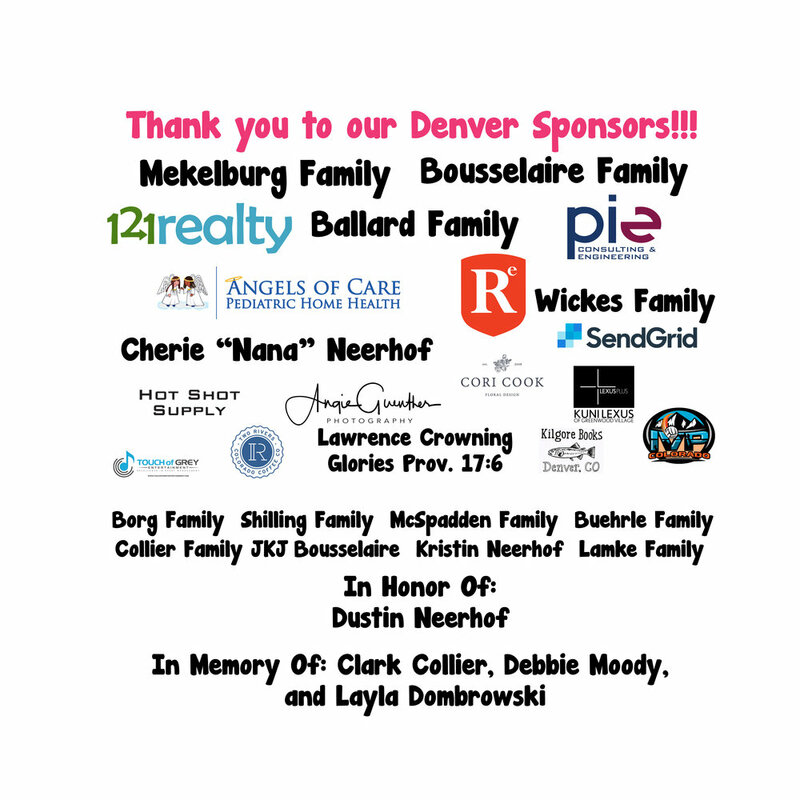 Special thanks to all of our past sponsors!